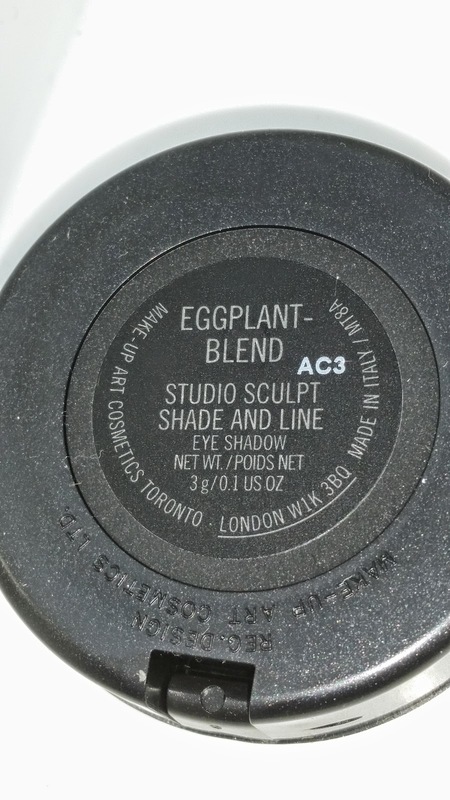 MAC Eggplant-Blend is an all in one eye product - it shapes, sculpts and lines the eyes. 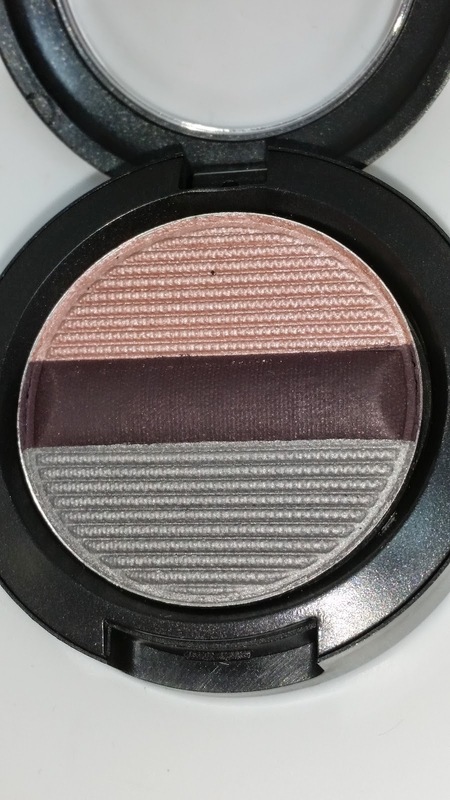 It contains a creamy soft pink eyeshadow, a pale grey eyeshadow and a dirty plum eyeliner. There are eight of these to choose from, they are currently priced at $21.00 USD and they contain .06 oz. of product. 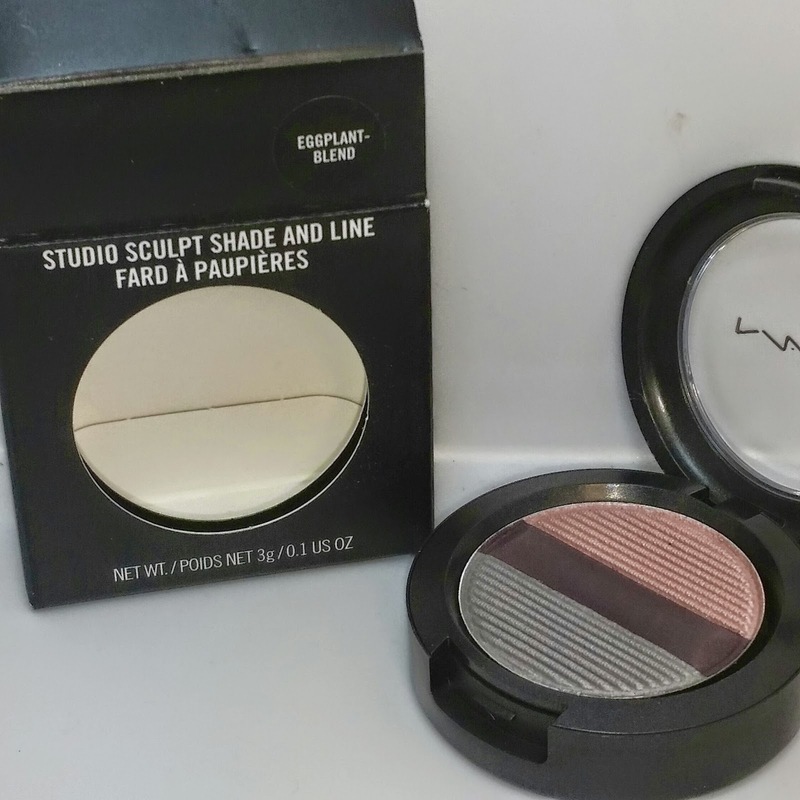 Each eye product houses two eyeshadows and one matte eyeliner. They can be applied dry for a muted soft look or applied wet for a bolder vibrant look. This is a nice concept. The two eyeshadows seem to blend beautifully together and the eyeliner seems to compliment the overall eye look as well. The only complaint I have is when the eyeshadows are applied dry. I wish the eyeshadows had been more pigmented and easier to work with. 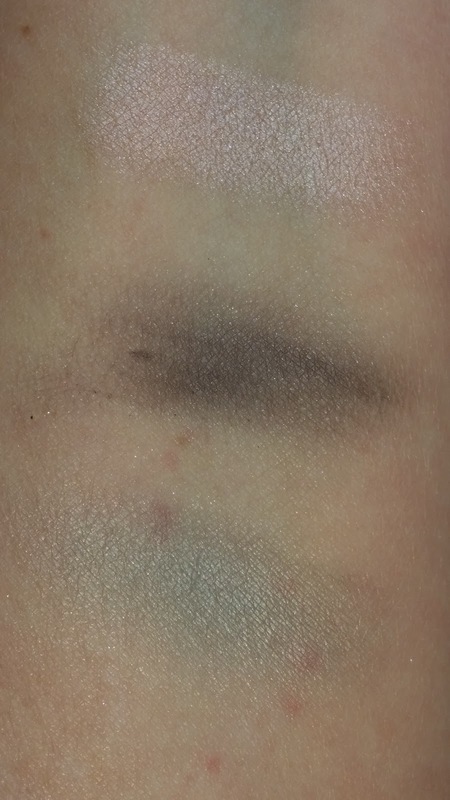 When applied dry I experienced significant fading, the colors weren't as pigmented and the lasting power was about four to five hours. 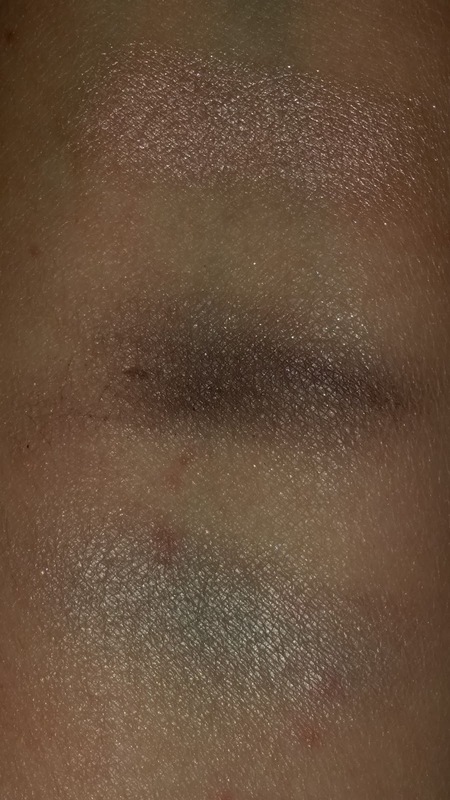 When applied wet the colors really stand out, application is effortless, and the lasting power when worn is about ten hours with no creasing or fading.